For me, 2018 was a year of reflecting and regrouping. Along the way, I formed new goals and plans so that 2019 can be a year of creating and achieving. What is my first project for the 2019? Launching my new book! 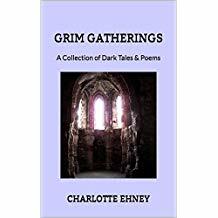 Grim Gatherings: A Collection of Dark Tales & Poems is now available on Amazon.com in print and Kindle Book format. 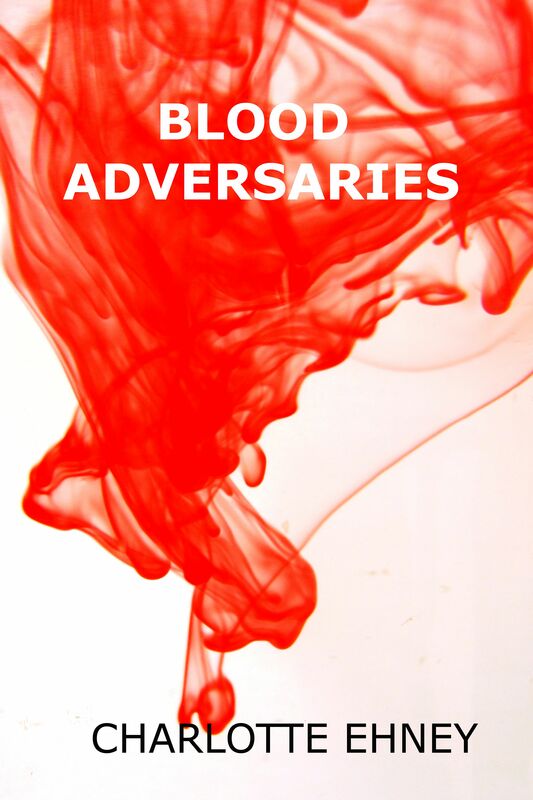 To celebrate, my first novel Blood Adversaries will be available as a FREE Kindle download from January 3 – 7, 2019. Please connect with me on my Author Facebook Page for future offers and giveaways. It is the third day of Christmas and my house is a wreck. Normally, this would stress me out to no end. But strangely, I’m ok with it. In fact, I’m actually a little happy. The dirty dishes mean we have had plenty of food to eat. The piles of laundry say we have more than enough clothes to wear. The Christmas wrappings strewn about the den tell me we were able to give gifts to each other. The torn up paper on the floor reminds me that we have dogs to love. The garbage and recycling overflowing in the utility room show we have an abundance of groceries and supplies. The mess means we spent time with family and friends these past few days. Today, I see this mess with gratitude knowing we are blessed to be able to meet all our needs and then some. So today, I will happily tidy up and be thankful for our messy house. A couple of years ago, I started using a July – June calendar. I have always loved that feeling on January 1st of entering a brand new year full of possibilities. I get the same feeling of potential and anticipation when I look at a brand new calendar that starts on July 1st. As I fill in activities and notes on my new calendar, I also get the chance to assess how things are going so far in the year. I can look at the goals I set in January and ask myself what progress I have made. If the answer is none to little, I know that I have some work to do. Goals are a great way for people to challenge themselves to accomplish the things they want. But setting a goal without doing more is like leaving a recipe on the kitchen counter then expecting a full meal to be ready the next time I walk into the kitchen. It just isn’t going to happen without some effort on my part. There are a couple of lessons I have learned about goal setting. 1. A goal needs to be attainable. If my goal is for my whole family to go white water rafting but one of my children is petrified of water, my goal is not feasible. Setting an unattainable goal is a sure formula for failure so it is important to make goals can be accomplished. Mid-year is a great time to check in on how the goals are going. If the answer is everything is great, then keep up the good work! But often the answer is that progress has stalled. Take a few minutes to identify the challenges and see if changing the action plan can help. In the writing goal example, perhaps there are too many distractions at home to be able to write. Instead of giving up the goal of writing more, the action plan can be changed to reserving a work space or small meeting room at the local library in order to write outside of the home. By evaluating progress toward goals, changes can be made to move toward success even if it means changing goals. That’s the other thing about goals. Sometimes life happens and plans are interrupted. A personal crisis occurs. Work responsibilities shift. You have to move from what you thought was your forever home. It is so easy to feel guilty for not being able to handle whatever is going on. I know that I am my worst critic. But it is ok to be kind to ourselves. To understand the we all need time to adjust. Often, our goals are still attainable. Maybe there needs to be a new timeline. Maybe the goal needs to be modified. Keep at it. Every day is a new opportunity to work toward a goal. Is this an attainable goal? Did I think out the actions steps I need to accomplish my goal? Am I working through the action steps? Do I need to modify my goal? Do I need to eliminate this goal ? Is there a different goal that would serve me better? And I am giving myself a fresh start where I have stalled. Happy Mid-Year! Wishing you a sense of renewal and wonder for what is yet possible in 2018! C. Hope Clark is one of my mentors. I have been privileged to attend several of her writing workshops. 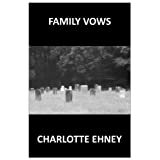 Her newly released mystery is set in a city near to where I grew up. I can’t wait to read Newberry Sin! When I hear that someone has journaled for years, I instantly admire them. For no other reason than they held themselves to a regimen, I find them incredibly in tune with themselves. They are living life, noting its lessons, and probably improving themselves in the process. Presidents do it. Many authors do it, which makes me feel guilty since I’m an eight-book published mystery author, with a couple of nonfiction books thrown in for good measure. I’ve been writing for years, yet I could not find the discipline to write at the end of the day when I’m spent, probably having already written a couple thousand words for some story or feature. I recently vacationed at Williamsburg, Virginia. While there, my husband and I delved into history. We visited Jamestown, the first permanent English settlement in North America. We walked through Yorktown, the site of Revolutionary and Civil War battles. We toured Colonial Williamsburg, a recreation and restoration of the 18th century city where you can see people re-enacting daily life of citizens, tradesmen and government officials. I also got the chance to do something I have wanted to do for quite a while; we did a ghost walk. You would think that someone who regularly writes about paranormal themes would have been on a few ghost walk tours. But it seems like time, money and opportunity never coincided until now. I have to admit that although I love stories of the supernatural, I am somewhat of a skeptic. I had already been to most of the places that were on the ghost walk and had not felt anything eerie or abnormal. Night does add an element of mystery. Our guide did a great job of weaving stories with purposefully pauses and sudden revelations. He invited us to take pictures of all the sites on the tour, just in case a stray spirit was in the wings. as was the Wythe House. Burton Parish Church did have a creepy monument outside. We were told the Randolph House was the most active of the hauntings and were warned not to get to close because those who did could feel themselves being pushed back. The only thing in the photos we took during the ghost tour that we could not identify or explain were some streaks in photos of the Randolph House. So did we have a ghostly encounter? I don’t think so. But we did learned some colorful stories of people who lived and died long, long ago. And I am looking forward to more ghost walks. For years, I defined chaos as trying to deal with the hectic demands of work, family life, commitments and creative endeavors. This week, I have encountered a whole different type of chaos — home repair. There have been items in our house that have needed attention for a long time. We finally got to the point where we could no longer ignore the problems with our floor. Walking to the back porch became an exercise in balance as we avoided the dips and the increasing give in response to our weight. Our utility room suffered water damage due to past overflows from the washing machine and a pinprick drip from the water heater. In preparation for the repairs, we emptied the utility room and two-thirds of the study. The result? Stuff piled up in every other room in the house. Items out of place that keep me from being able to do anything in those rooms because it would be totally futile. Everything will have to be moved again when the repairs are done. Everything will have to be cleaned again because the repairs are stirring up dust and debris. So I am leaving all the rooms alone for now as I scoot past the piles and feel closed in by our possessions. There are work trucks parked in my driveway. Workers are in and out of my house. I thought perhaps this would be a time I could write since I can’t do much else. But there is constant noise — hammering, sawing, ripping out old wood, nailing. Then there is the unexpected. After all, in an old house you can never really be sure of the extent of the repairs until you open things up. I need to be available for input but I don’t want to be in the way. So I am shutting myself off in the den — hiding out, really — binge watching episodes of Father Brown on Netflix and cringing with each loud barrage of sawing, hammering and loud booms. I have an end date. Perhaps today. Perhaps tomorrow. But it will end. I will have a renovated utility room with new linoleum, freshly painted walls, and plumbing that does not leak. I will have a floor that is strong and bears the weight of the family without a problem. The final results will be well worth these few days of stress. How many times do we get lost in the current chaos in our lives, feeling overwhelmed by the demands that swirl around us? With a special project like home repair, it is easy to see to the end. But in everyday life, the chaotic nature of everyday demands seem infinite. The truth is, these too are temporary. Children grow up and become self sufficient. Job duties (or maybe even employment itself) change. Family responsibility shifts. We learn how to say “no”. We find ourselves in a new normal. The things that so stressed us may even become inspirations to drive our creativity to new directions. My challenge for you: look at the thing that is currently creating chaos in your life. Is this something that will come to an end? Can you use this to ultimately come to a positive outcome? I have been silent lately. My words have left me. Usually, this time of year sparks hope and excitement and eager anticipation for all the beginnings a new year brings. Not this time. At least, not now. 2017 was a difficult year. At the end of 2016, I learned that a close relative had dementia. It was a confirmation of our fear. 2017 was a year of grieving. First, there was the loss of the future we had envisioned. Then mental function slipped away. A few months later, physical function began to deteriorate. In October, there was death. I stumbled through the holidays. This year was more about going through the motions than experiencing the joy. I held tight to the decorations,the music, the spirit of Christmas hoping that it would ignite something inside me. It didn’t. Instead, I was haunted by the memories. The ghosts of days past can be difficult companions when loss is so recent. Stories and poems still swirl within me but I have not felt like writing. My experiences over the last 18 months call out to be crafted into a written account. There is enough there for essays, short stories, a novel. I am not ready to put any of it down on paper yet. Maybe in time. Maybe when my ghosts bring more smiles than tears during their visits. In the meantime, I am taking a small break. 2017 was an end. I needed a hard stop — a clean break — from some of the things that have kept me stuck. 2018 is a year of redefining. Of discovering who I want to be. Of reclaiming my words. Labor Day Weekend – a time to take a breath, take a break and relax. These days, I cherish a day off to be at home. It seems like there is always running around to do — things that just have to be done. I have so many projects that I have started laying around my house. Paintings that I have started. Stories that are in the beginning stage. Items for home improvements that are lying around my house. It is so easy to get caught up in “have to” “should” “need to” that we just end up doing those things we feel obligated to do. Other times, we focus on our failures and convince ourselves there is no point in trying. That is why I like days like to day. Days I can just piddle — doing a little bit of this and a little bit of that, not being in any hurry, not having any direction or deadlines. Today, I accomplished more than a week of strict schedules and set deadlines. All by just piddling. The Jack-O-Lantern pallet I completed today. It was supposed to be a weekend project. It was supposed to have been finished about two months ago. My son brought me a few pallets that I wanted to decorate for yard art. It should have been a quick turn around. But life happens. Family and friends need you. You are tired and veg out for a while. And that is ok. One day family and friends will no longer be there to spend time with. Some days, you have to take care of yourself so you can keep going. Remember that just because you didn’t complete — or even start — a project when you thought you would, doesn’t mean it is too late. Take a deep breath and reset your timeline. Then begin. Maybe it is a baby step like marking off time on your calendar. Maybe it is getting your supplies. Maybe it is jumping in and getting it done. I started my pallet craft on Memorial Day. I finished today. It is no longer a blank pallet waiting to become something else someday. Success!